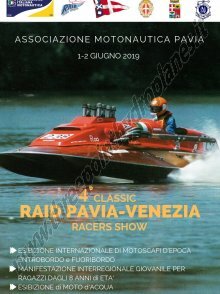 Born from the desire of a group of enthusiasts, this site gathers as much material as photo, video and documents on hydroplanes, also known as three-point hydroplanes or "racers", built by italian shipyards. The idea, started by a group of drivers, ex-drivers, fans and enthusiasts of this type of racing boat was developed into this site to allow the full cooperation about the inclusion of contents. Just register, or login via facebook, and you can start contributing by loading your own material that you want to share and help to increase the archive more and more. To login via facebook you must be a member of the THREE POINT HYDRO PLANES FAN CLUB group. You can find also, here, sone non italians boats driven by italians that participated or won races in italian races. Surfing into the site you will know and appreciate the history, technique, competitions and video contributions of these racing boats, which for years have thrilled the enthusiasts and still do today in meetings and revivals.